I was in my early 20s in Portland, Maine. 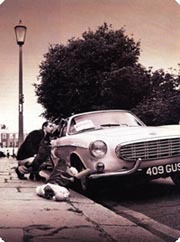 I saw a Volvo P1800 parked on the street and I thought it was the most beautiful car I'd ever seen. I searched one out and I've had one ever since. Some days shifting gears through the stop and go traffic, I wonder why we're still together. But, we are, and as one of my exes said to me, "Love is a verb!" So, I take care of her and she takes care of me. The one in Maine rusted out and I gave it to a friend for parts. The Volvo shop there offered me $75 for it, and I refused to sell her off so cheap. Last I heard it was in a field in Bowdoinham, Maine. When I moved to Los Angeles I bought one in perfect condition, cash, with my first album advance money. I still have it. It was totally rust free. It's gotten smashed up a few times and I put way too much money into a restoration about 10 years ago. It needs another round of work at this point. Some brief history. These were first sold in 1961 and they stopped in 1973. They made a beautiful station wagon version for the last two years ( I was tempted to get one but you can't leave your guitars in the trunk visible to the world for temptation.) The body was designed with Ghia in Italy, hence the rounded curves and fins that resemble a Karman-Ghia. They asked the German company Karman to manufacture the body but Volkswagon threatened to pull their business away from Karman, so the bodies were, at least at first, manufactured in Scotland. 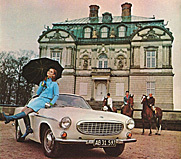 The cars were assembled in England by Jensen with British electrical systems, Swedish engines , and various parts from all over Europe. 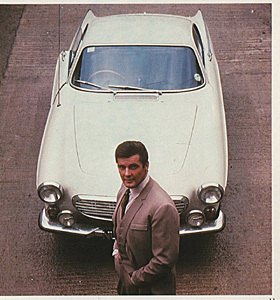 At one point, there was a British TV show called "The Saint" featuring Roger Moore as Simon Templar. This was prior to his fame as agent 007 James Bond. 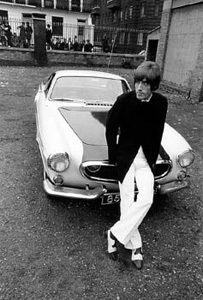 They asked Jaguar for a free XK-E model for him to drive on the show but Jaguar wouldn't give them one. 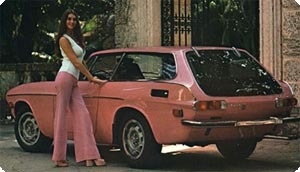 Volvo, however, did offer THEIR sport's car and the rest is history. 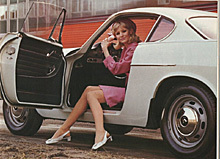 Now many refer to the P1800 as "The Saint". 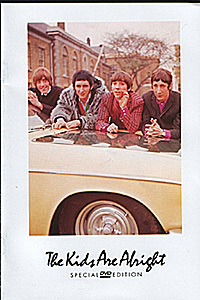 The original 1964 car used in the show is in a museum in Keswick, England. The car never had a lot of sport's car pep, even though they upped the horsepower several times. Still, it has a classic beauty and a day doesn't go by that I don't get comments on it. It seems to be a worldwide love affair as I recently saw an absolutely perfect red one parked on Vrolikstraat in Amsterdam. There's a guy on Cape Cod who has a backyard full of them for parts, in case you get the same "jones" that I have. His name is Don Thibault at p1800.com.